30" tall x 12" wide x 8" deep. 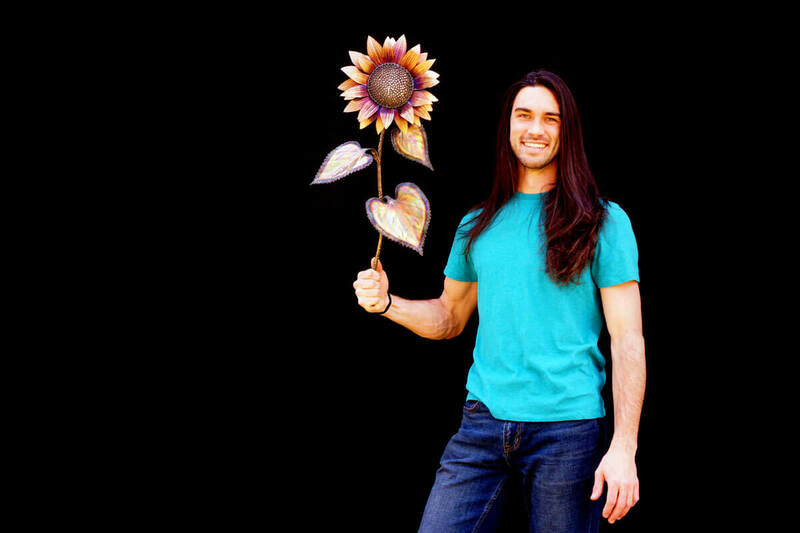 This metal sunflower sculpture is wall hanging is made entirely of stainless steel. 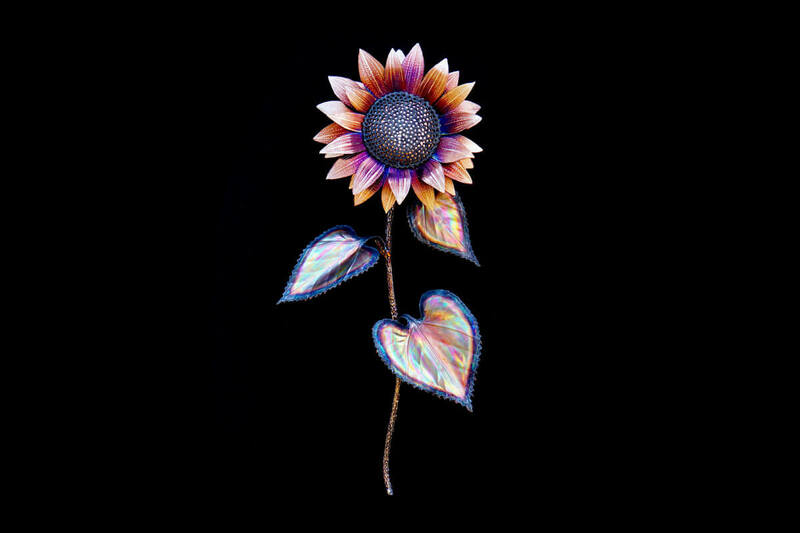 This Sunflower was inspired by my friend Beatrice, who is a talented young artist that came and spent a day working with me in my studio. She originally had the idea for us to create a sunflower together though we ended up shifting and making some orchids instead. But it was too late, she had already planted the sunflower seed in my head so to speak! And before I knew it my mind was off problem solving and designing a sunflower. I had been working on a dragon for months and needed a break so I decided to take some time and see if this thought could blossom into a finished piece. I am quite happy with how it turned out. 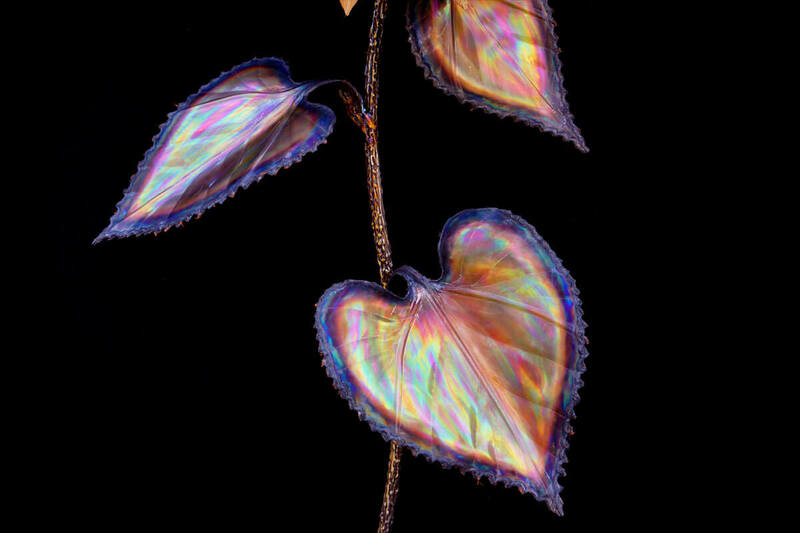 I particularly like the layered texture on the petals, which give it a complex vibrance and glow that shifts with the light.The biggest challenge on this piece was figuring out how to capture the feeling of tightly packed seeds in the center. I am pleased with the final solution as I feel it captures the gesture of spiraling seeds! Alright that does it for now, and as always thanks for checking out my work! This sculpture must be kept indoors. 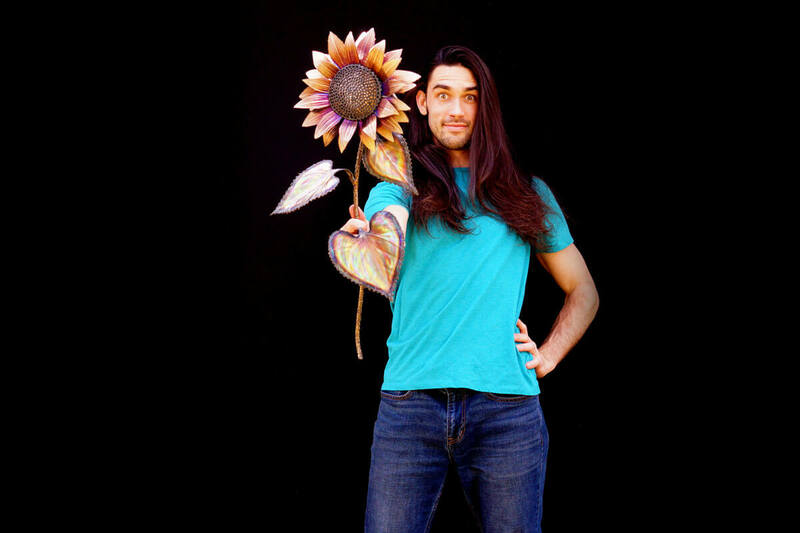 Artist Aiden Dale with his stainless steel sunflower sculpture! 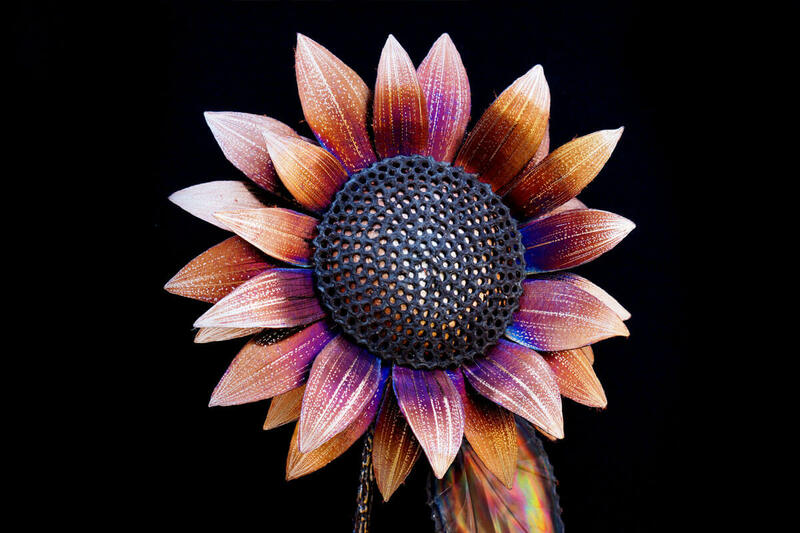 Close up of metal sunflower sculpture. Angle close up of metal sunflower sculpture. 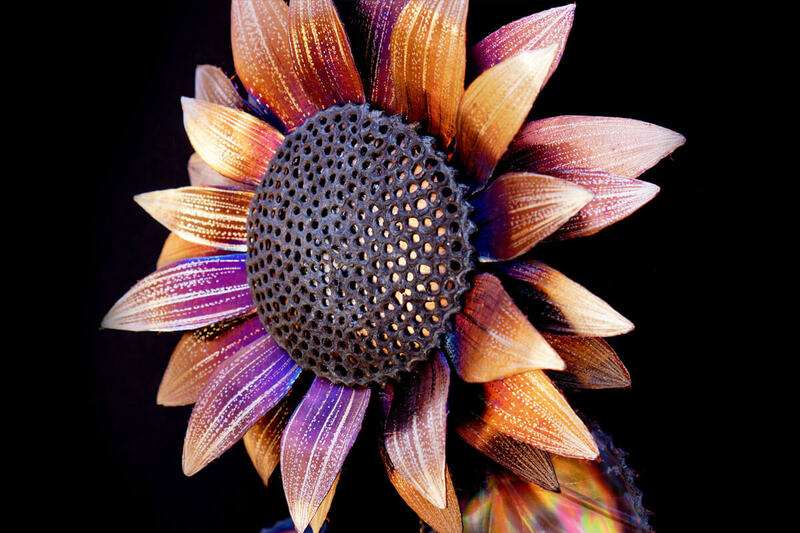 Close up of metal sunflower sculpture leaves.